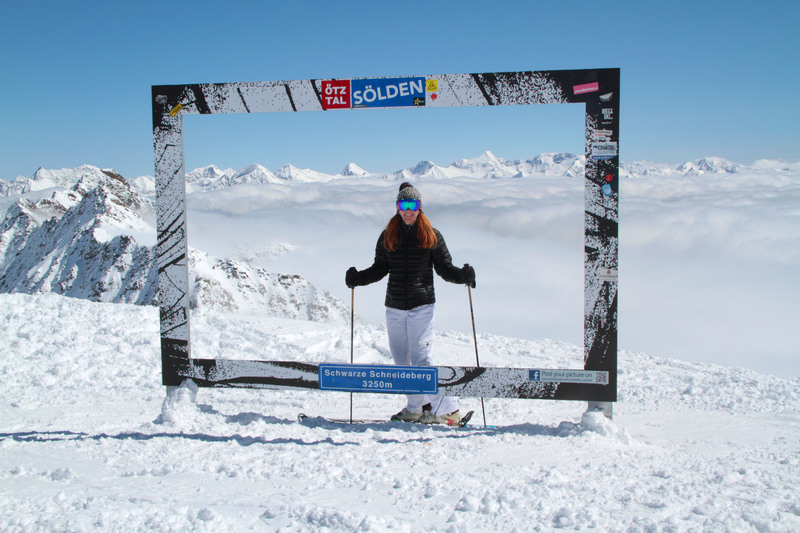 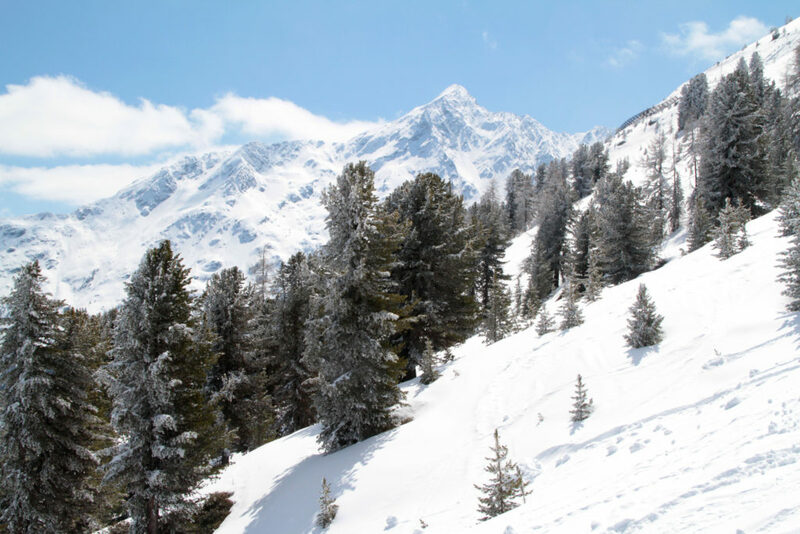 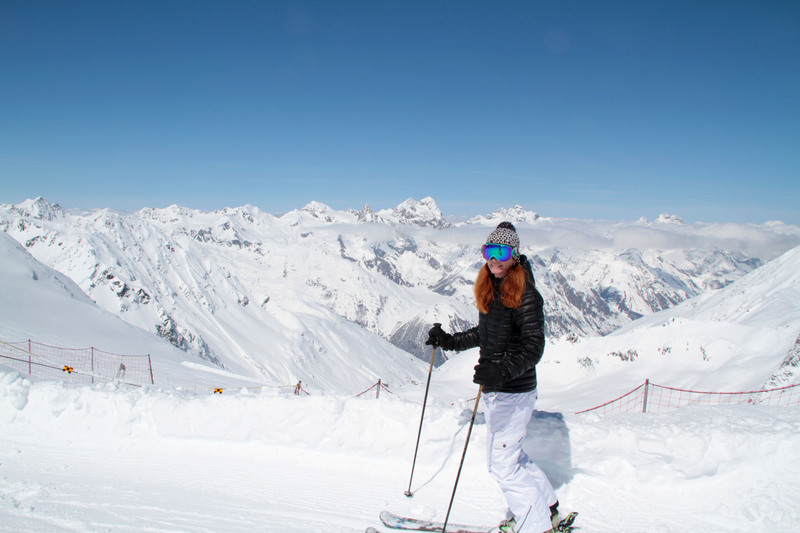 Soelden, aka Solden, is in Tirol’s beautiful Otztal valley, perfect for a luxury Austria ski trip on three mountains all above 10,000-feet, and two glaciers, the Rettenbach and Tiefenbach Gletscher. 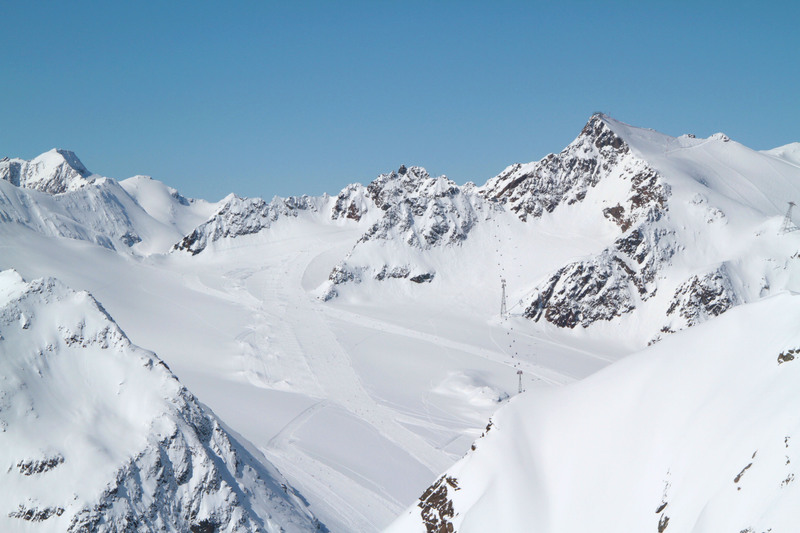 Sölden is huge, with amazing scenery from their “Big 3” glass viewing platforms. 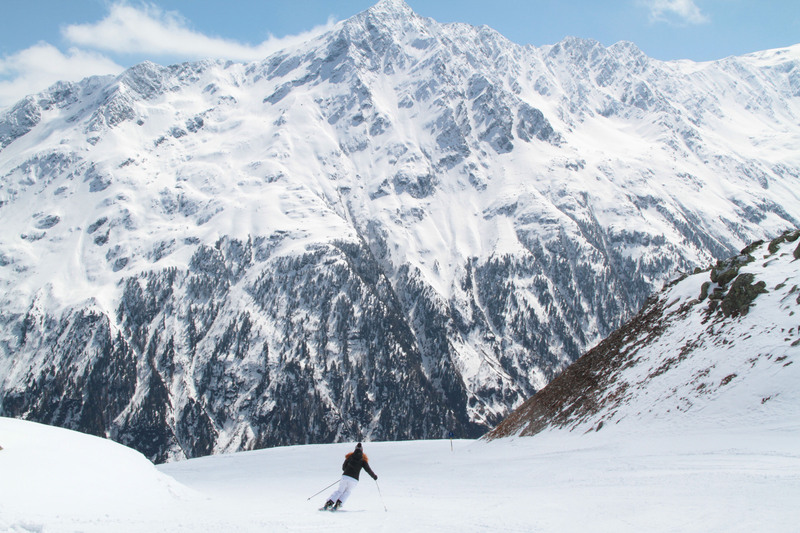 In addition to all this great skiing and scenery, Solden has 32 charming mountain chalets serving traditional Austrian lunches. 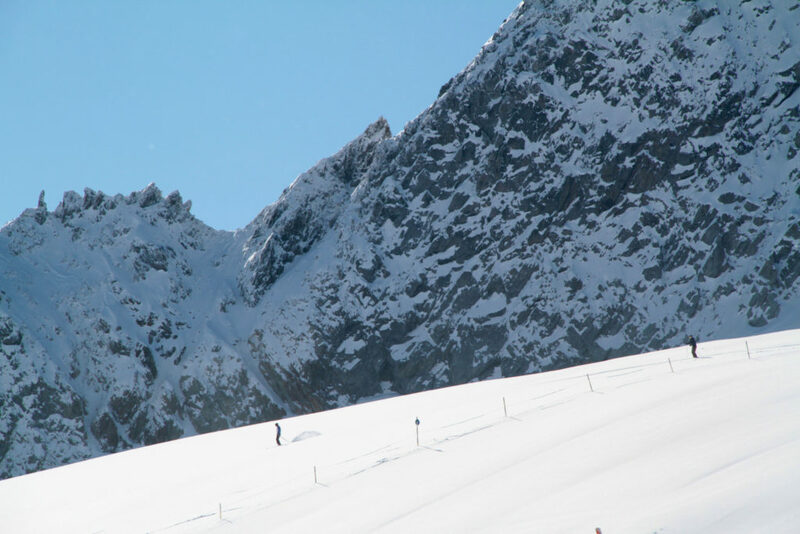 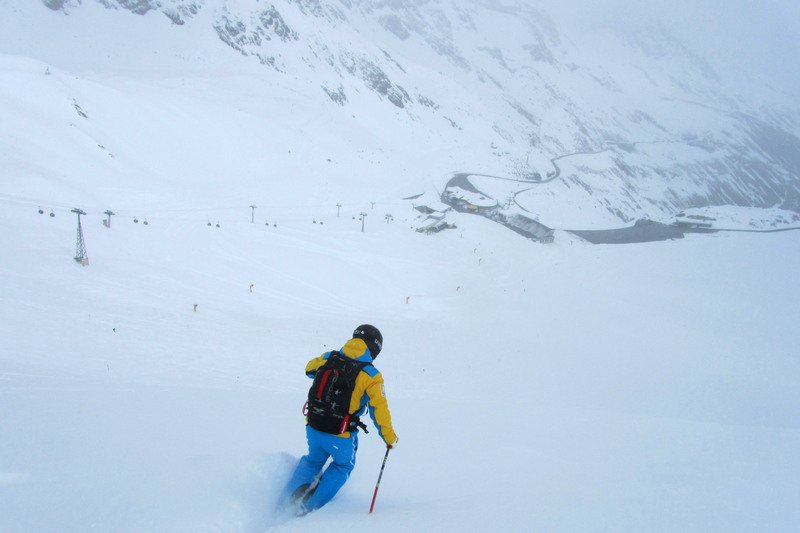 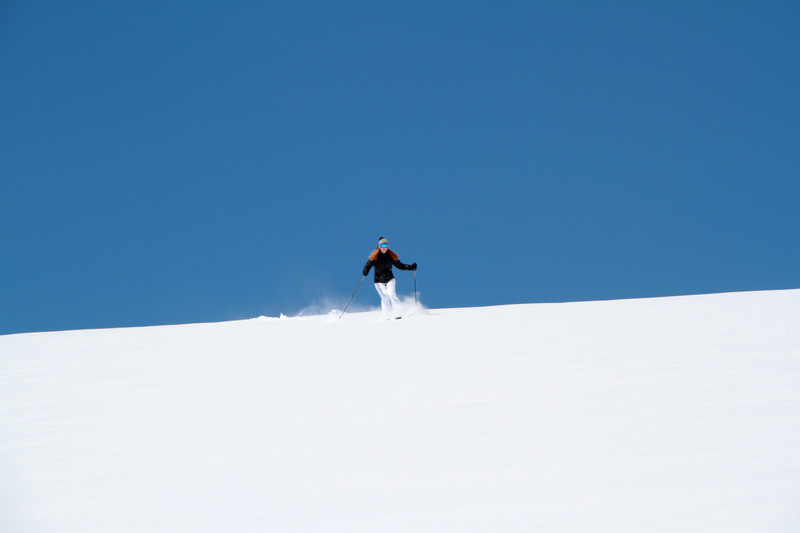 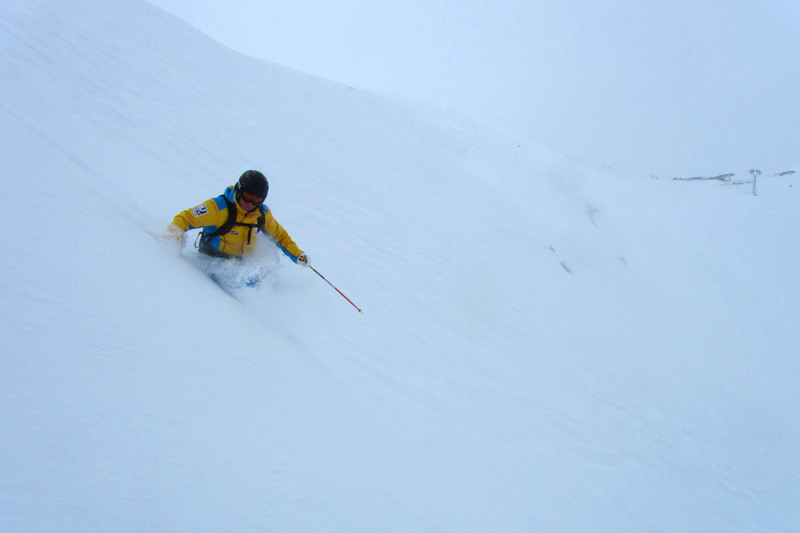 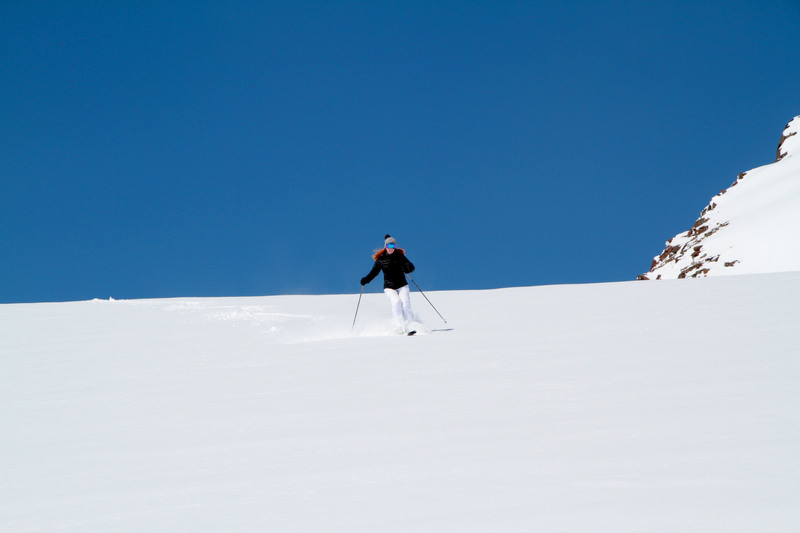 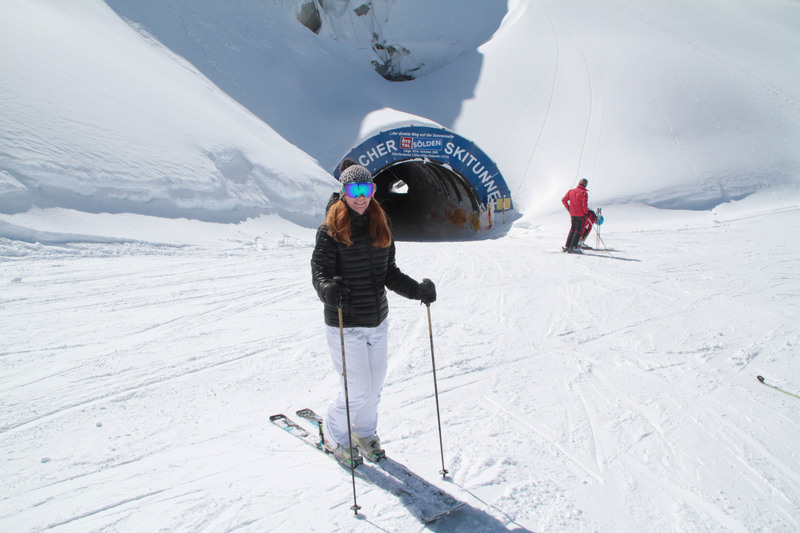 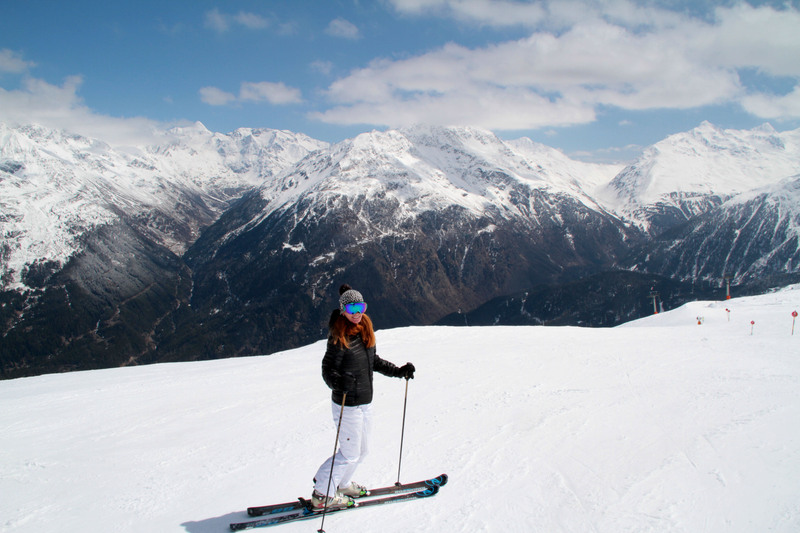 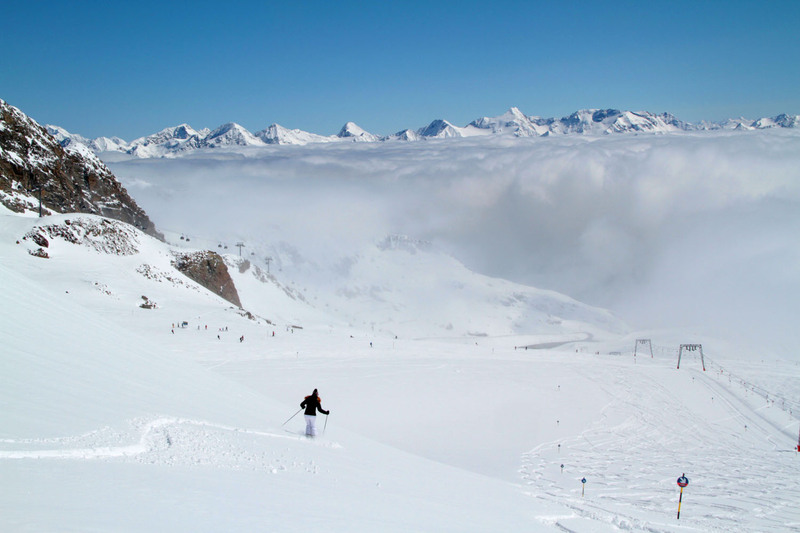 Skiing on Solden’s two glaciers means the longest ski season in Austria from October through May. 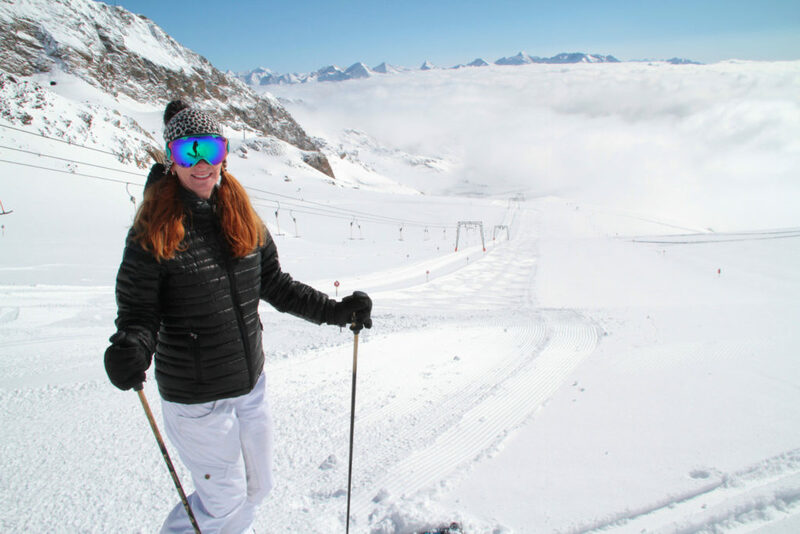 The Rettenbach Glacier at 10,859-feet and Tiefenbach Glacier at 10,849-feet are training grounds for the US Ski Team and host of World Cup races. 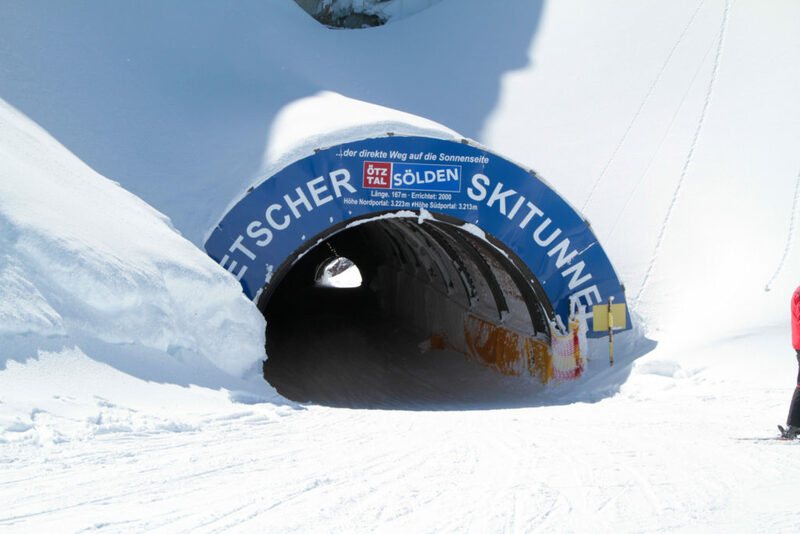 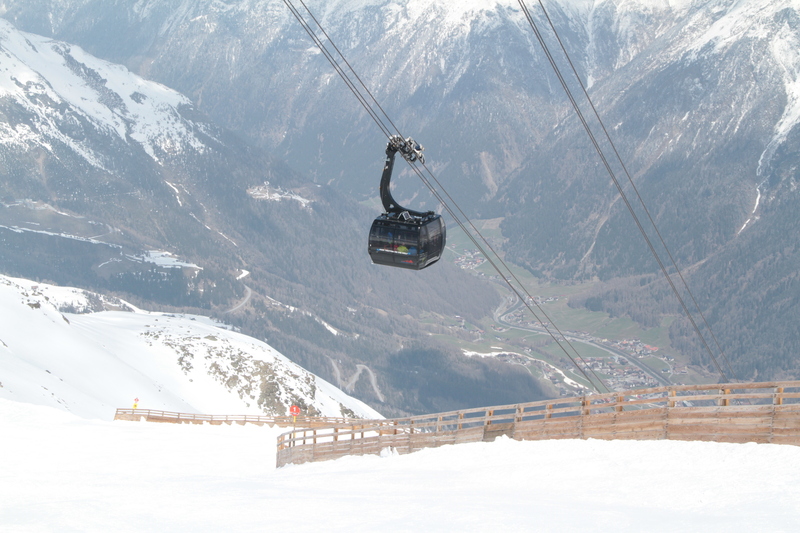 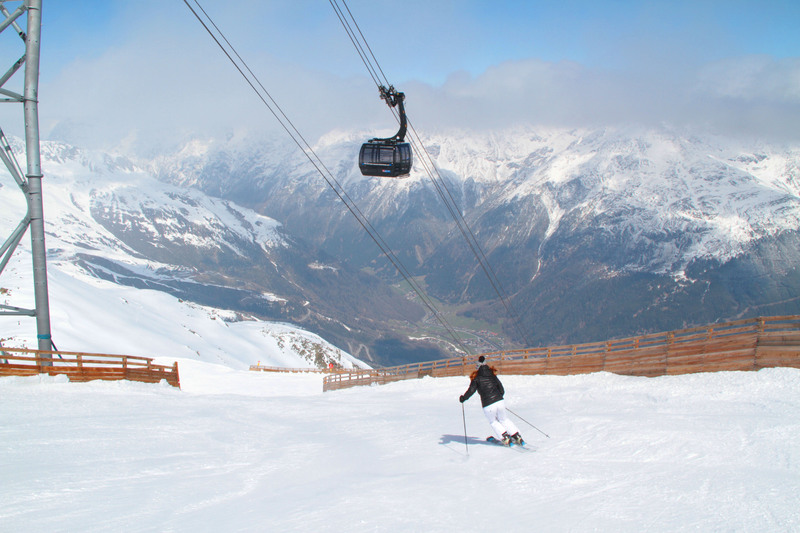 Solden’s ski lifts are incredible, cable cars, trams and gondolas, six and eight pack bubble chairs in the Gaislachkogl area, delivers over 70,000 skiers per hour. 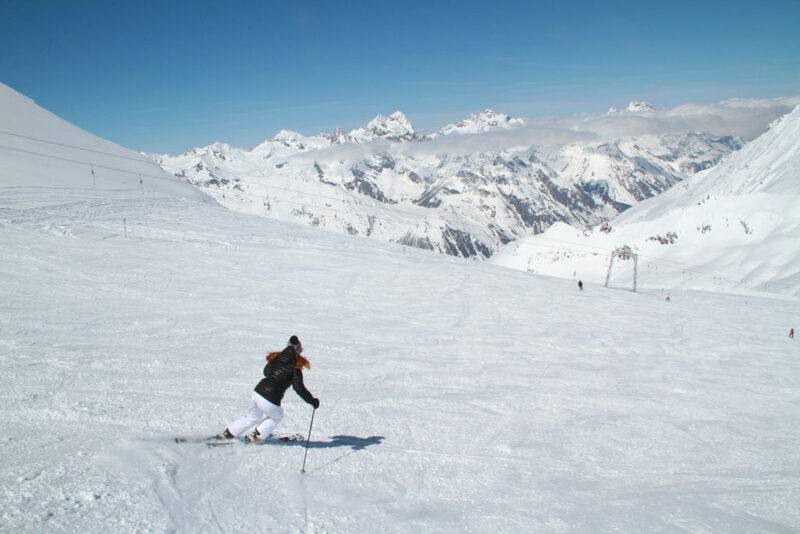 Compare that to Vail’s at 53,000 and one can imagine Solden probably can get busy during holidays, particularly on the prepared pistes, aka groomed runs. 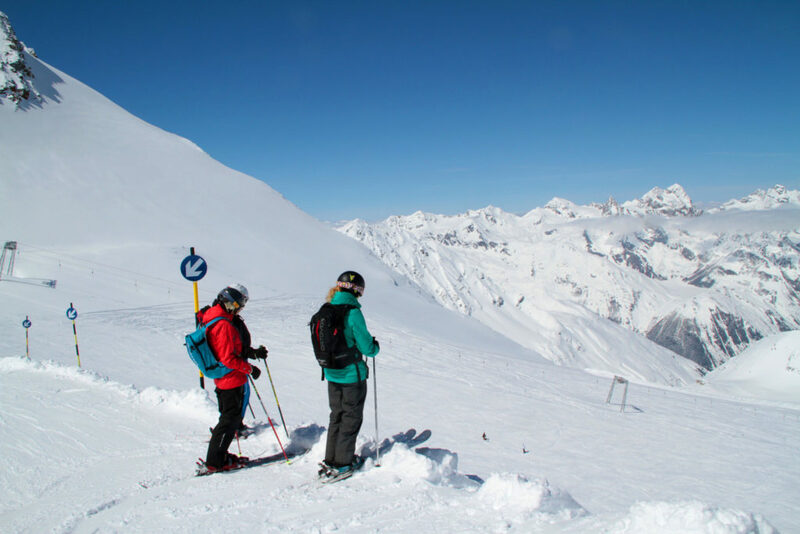 The Gaislachalm area to the eastern flank of Solden offers quieter skiing with numerous charming ski in ski out lunch chalets. Solden’s best ski lunch is Gampe Thaya – this 300-year-old farmhouse in the middle of the mountain has ambiance of cowbells, authentic Austrian woodwork and ski memorabilia, and delicious homemade fondue and Austrian schnitzel. 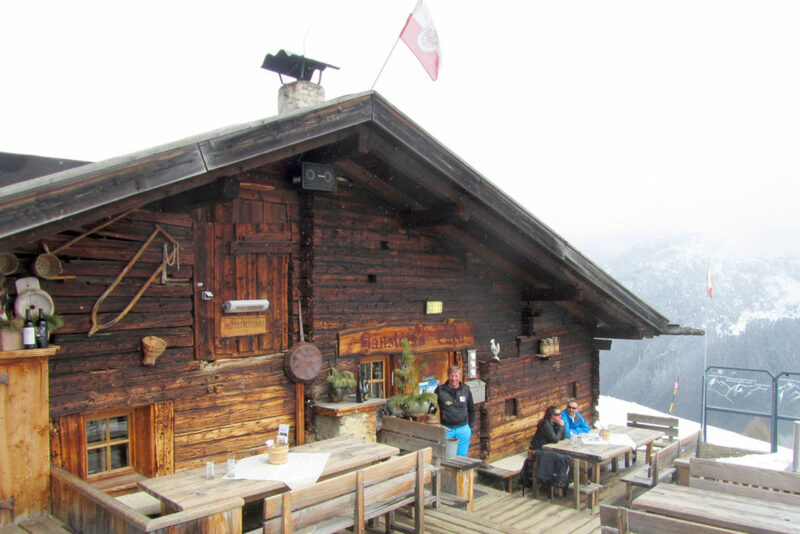 On sunny days, a beer and cheese plate on the deck is a must for the best views of the Otztal valley. Hochsolden ski village on the western side offer a romantic ski village with a few big hotels located mid mountain looking down on the farms and chalets of downtown Solden, a quiet location if that’s your idea of a luxury ski vacation. Solden village is a mix of Austrian charm and modern, church steeples and chalet style hotels sit next to ski shops, disco dance clubs and four star hotels. 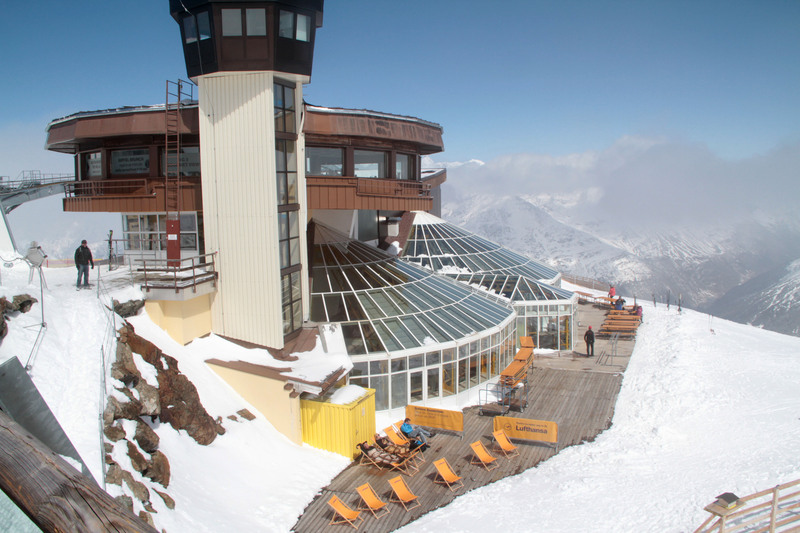 Solden’s Hotel Bergland, built in 2010 by one of the five partners that own Solden Ski Resort, is a beautifully decorated lifestyle hotel with designer rooms, a swank rooftop Sky Spa, elegant dining, a cool après ski bar, game room, and ski shop just steps from the Zentrum Shuttle Lift making it a perfectly posh place to stay. Save your energy because Solden rocks during après ski with live music and Solden concert events.